We visited here over xmas 2008. 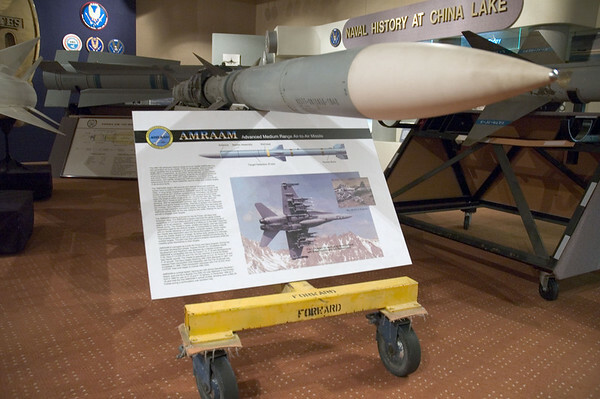 Inside they have various long-range armaments and other things on display, but the main focus is on the Sidewinder missile, which was developed at China Lake. Outside is a motley collection of old planes that have seen better days.